The Bruce Swaim Jazz Quartet will kick off the Benny C. Morgan Recital Series on Oct. 7 at the College of Southern Maryland. CSM is continuing the recital series this year at the Leonardtown Campus. The recital series, honoring the late music teacher, also will feature performances from Michael Langlois on the piano Nov. 18; Anthony Zwerdling, baritone, Feb. 17; and the Calvert Chamber Players on March 17. All performances start at 3 pm and are held in the auditorium of Building A. Admission to the shows is free due to the generosity of community sponsors. The first program in this year’s series will feature a Washington, DC, jazz group, the Bruce Swaim Quartet, which consists of Bruce Swaim on saxophone, Paul Langosch on bass, Jay Cooley on piano, and Dominic Smith on drums. Mr. Swaim attended the University of North Carolina at Greensboro as a performance major in saxophone. Since moving to Washington, he has worked professionally with many notable musicians, including the Four Tops and the Temptations. Mr. Langosch began his college studies at Montgomery College’s School of Music in Rockville and then attended American University. He resides in metropolitan Washington, DC, and has worked with many leaders in the jazz world including Herb Ellis, Al Cohn, and Bud Shank. Mr. Cooley studied music at Montgomery College’s School of Music as well as Catholic University’s School of Theory and Composition. He has appeared with Charlie Byrd, Chuck Redd, and Ethel Ennis and has been the musical director and guest accompanist for many musicians. Mr. Smith attended Towson University, where he earned a bachelor’s degree in jazz performance. He has studied in New York City with musicians such as Kenny Washington, Ralph Peterson, and Kim Plainfield and has played with jazz musicians Buster Williams, Mark Elf, and Dennis Erwin. “From classical piano and chamber music to jazz and a wide song performance, the Benny C. Morgan Recital Series provide a unique cultural offering to Southern Maryland,” Dr. Johnson said. Mr. Morgan was a beloved music educator in St. Mary’s County schools for 30 years and served as organist and choir director in several area churches. In January 2016, Morgan generously donated his prized Steinway grand piano to the CSM’s Leonardtown Campus. Sadly, Mr. Morgan passed away several weeks later, however, with the knowledge that his generosity will add to the musical culture of CSM’s students as well as the Southern Maryland community for years to come. The Benny C. Morgan Recital Series was instituted last year in his memory. 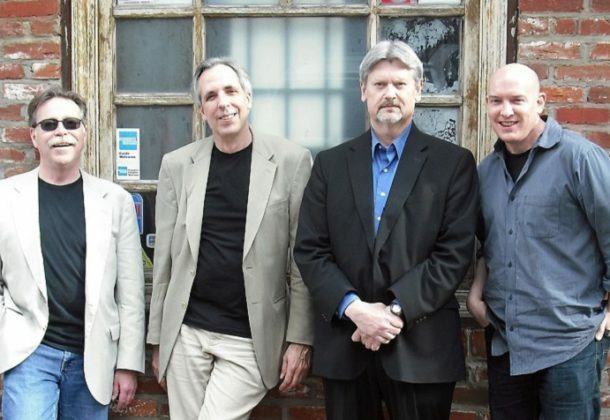 For information on the Bruce Swaim Quartet, click here. For information on the Benny C. Morgan Series and the other featured performers, visit the college’s website or call 301-934-7828.